Roger Ebert was a man I never met. I never had a phone call conversation with him. I never sent him an email. I will say I tweeted him a few times, but that's it. Roger Ebert was a man that greatly inspired me when it came to writing. When I started writing movie reviews for a blog I run, I started to read the way Mr. Ebert wrote his reviews. I told every other person who wanted to write reviews to look at how Roger Ebert wrote his. I studied his structure and what all he would cover in his reviews. In turn, after looking at his style, I began to develop my own. The one thing I always wanted to mimic from him was his ability to show his passion for movies in his reviews. If he loved a film you could read how passionate he was about it from his writing. If he hated a film with a passion then you could see it in his writing. Roger Ebert was not a film critic. He was a man who was passionate about films. He was the man everyone trusted when it came to movies. When a movie was released I never cared really what the Rotten Tomatoes score was. I always went to find Roger's review because he was the man I trusted. He had the final verdict for me. Roger Ebert’s love for films made me want to learn as much as I could about the art of the cinema. His views on such great films as Citizen Kane made me re-watch the film in order to see the true greatness of it. Through his numerous reviews on the film, Roger introduced me to Hoop Dreams, which to me is the best documentary of all time. The day before he passed, I had read one of his last pieces, “A Leave of Presence”. It was shocking that in less than 24 hours I was reading the news of his death. I am a young college student who wants to be a filmmaker. At my college’s film department, the news of his death traveled quickly. I went into a class after reading one of the first official releases of his passing. Within a hour I had received numerous texts about his death and people approached me asking if I had heard about it. I was shocked that people were asking about Roger Ebert. I don’t know why, but for some reason I thought I was the only student who knew who he was. I thought I was the only one who followed reviews and was affected by his work. But, I wasn’t. His passing is still being talked about. Mr. Ebert’s writings made you feel that you knew him personally. His writings made you love films because he was a lover of films. The art of cinema is a great gift that our society has and Roger Ebert was a man who made sure we all knew just how great it was. Mr. Ebert and his “Two Thumbs Up” saying that he and Mr. Gene Siskel made popular have entered into our everyday vernacular. 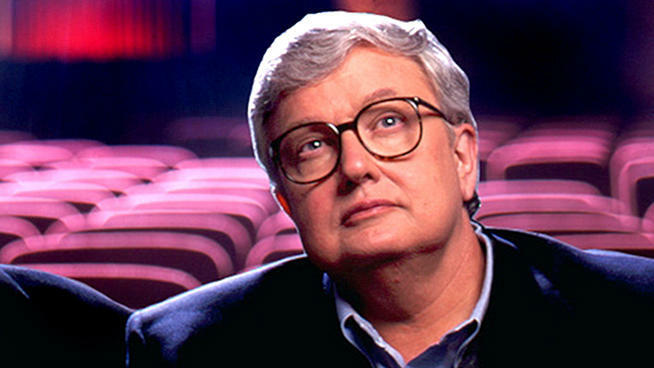 Roger Ebert has affected anyone who has set down in a dark theatre to watch a movie. Mr. Ebert has passed, but the movies will go on. The popcorn is popping, the lights are fading down, and we are taking our seats. So, I’ll take a line out of your book for this one, sir. Mr. Ebert, we’ll see you at the movies.